Since our establishment, we are engaged in offering E-Catalog E-PresentationServices that enables you to store various text, images, internal links, links to email and hyperlinks. Our provided service is executed with utmost precision using advance technology. Our service can add attraction to your executive summaries, sales meeting, training seminars, and can increase your sales during customers' visits. 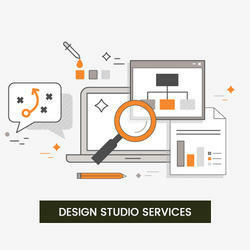 We are a renowned name in offering quality services for Design Studio Services. 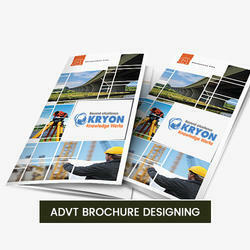 We offer artwork in multiple formats that are highly suitable for typesetting, printing and web publishing. Also, this service consists of all the necessary equipment. The offered service is highly appreciable among customers owing to its professionalism and prompts in nature. Adhering to our international quality production, we have earned the client's faith towards our qualitative ADVT Brochure Designing Services. This service is executed by our talented experts as per the detailed information by the customers. 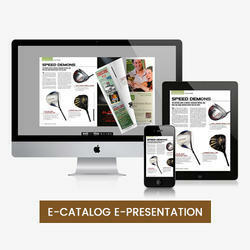 We put forward the core and design ad's to express the exact tone which expresses emotion. Offered service is carried out in the best possible manner & professional way. We do change the total appearance of the images and produce it in new dimension as your requirement with high quality output. 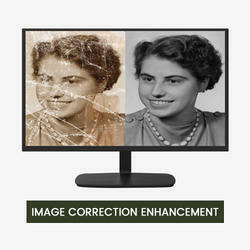 We work on colour saturation, cropping, background changes and also remove noisy grains on images. Looking for Premedia Services ?